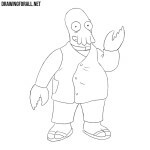 We really love Futurama and so today we decided to draw the most famous character from this animated series. 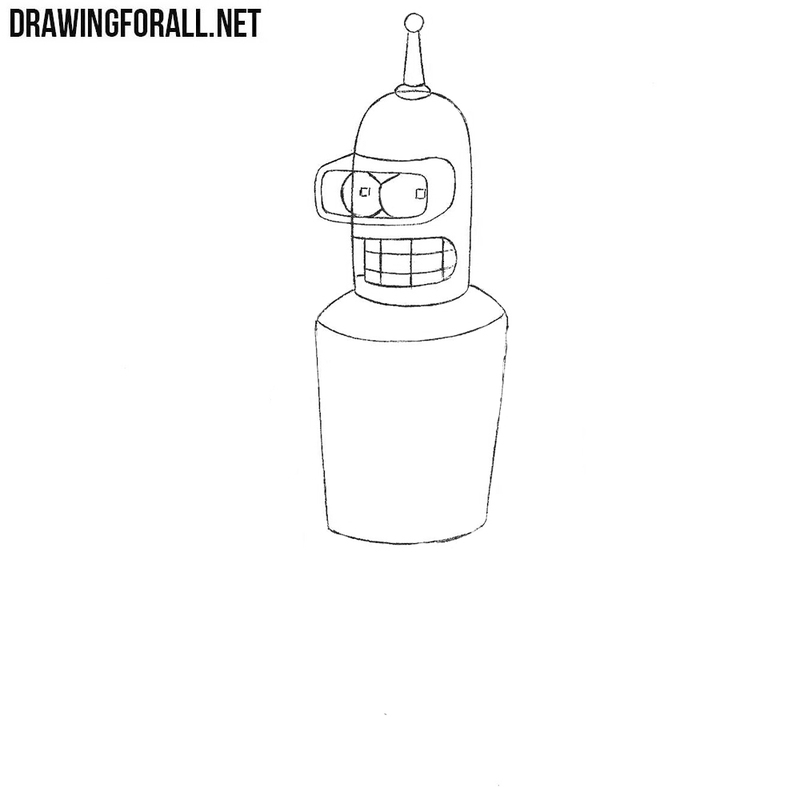 So, let’s start the drawing lesson about how to draw Bender from Futurama. 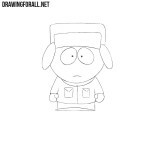 So, first of all sketch out the outlines of the head and torso as it is shown in our example. 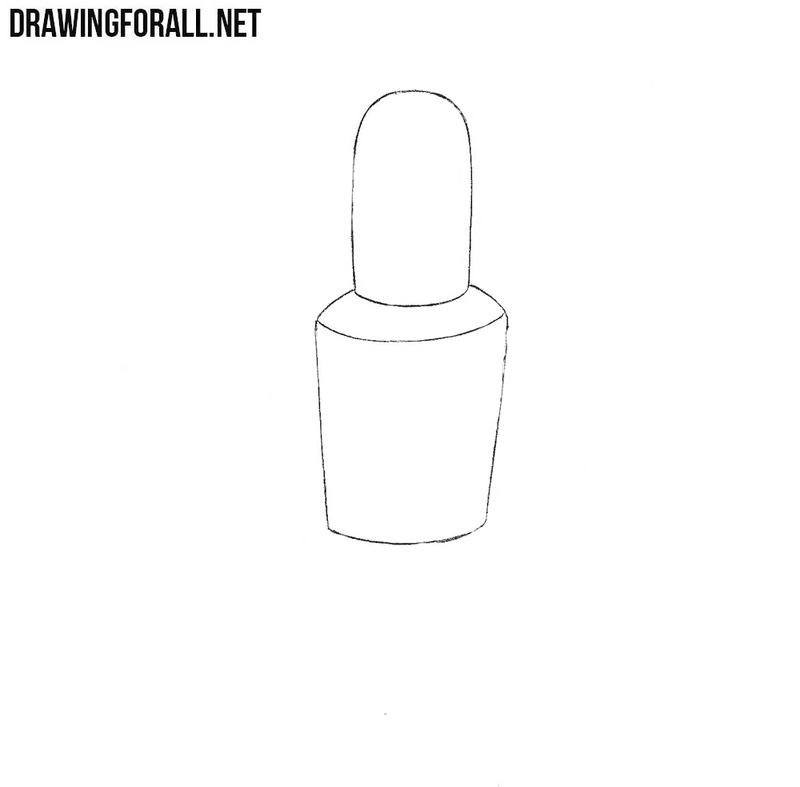 Now let’s sketch out the outlines of the mouth and the opening for the eyes. 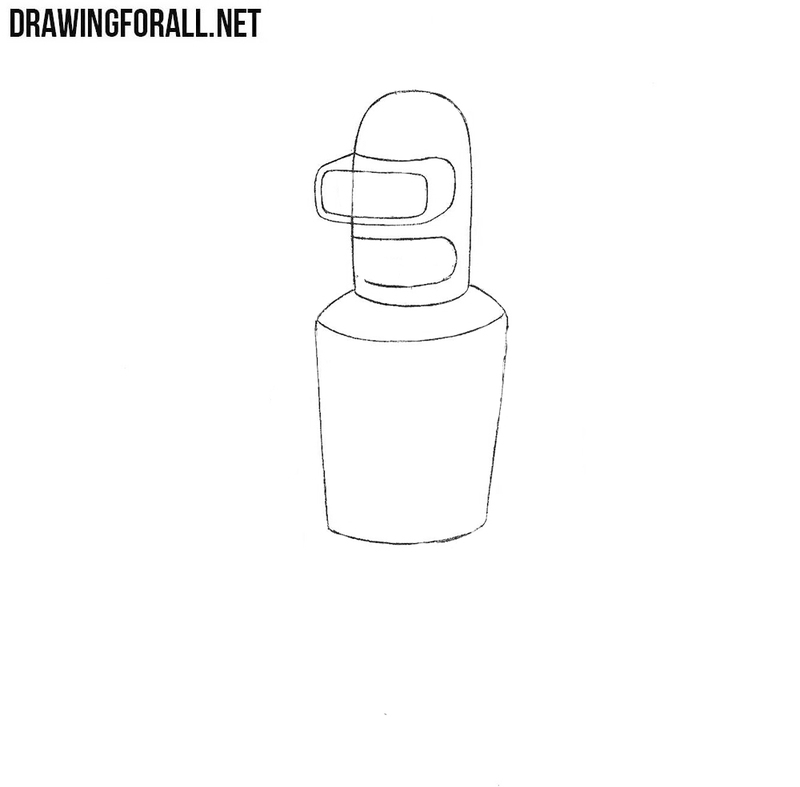 Now we will need to draw out the robot arms of our charismatic robot. We get down just below and draw out the outlines of the legs of Bender. 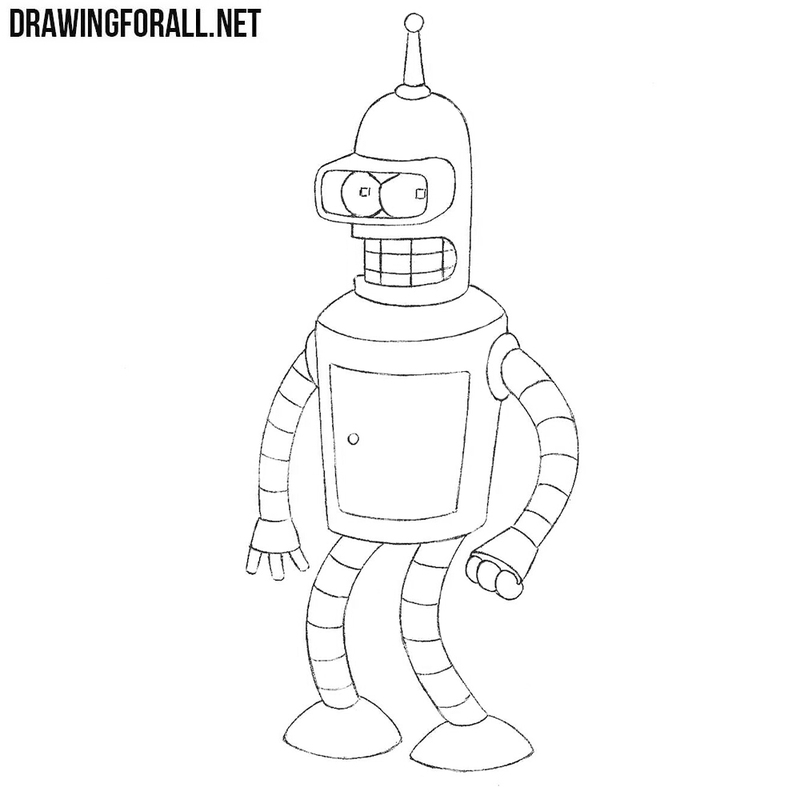 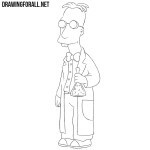 Now remove all unnecessary guidelines from Bender’s body, draw a door on the chest and cross lines on the arms and legs. 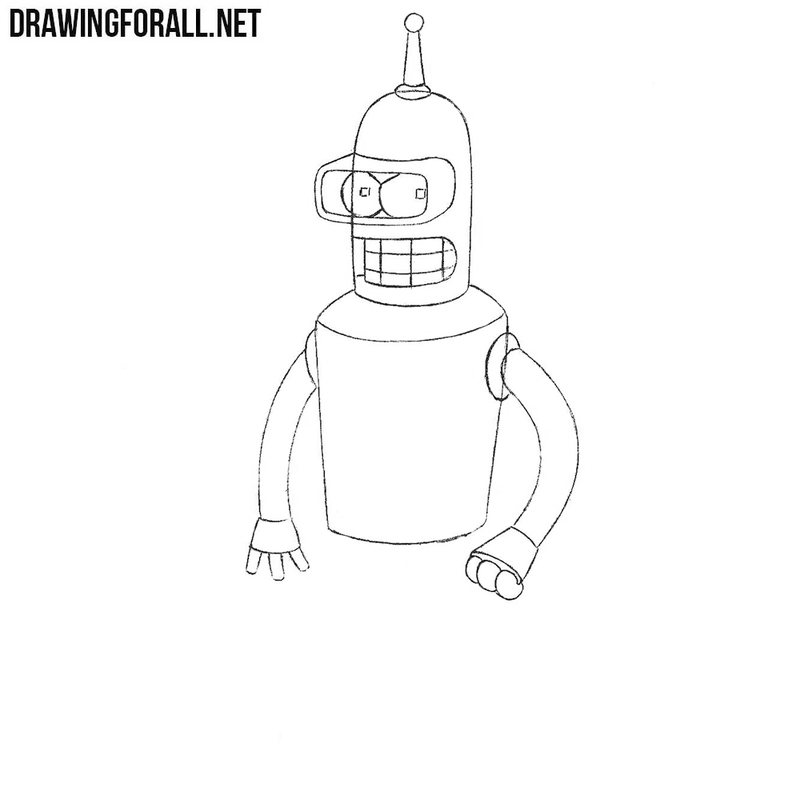 It was a drawing lesson about how to draw Bender from Futurama. 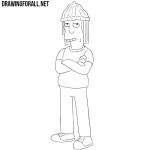 What other characters from which animated series you would like to see on the pages of our site? 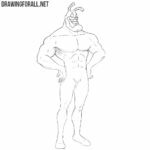 Write about it in the comments to this article or in our pages on social networks.